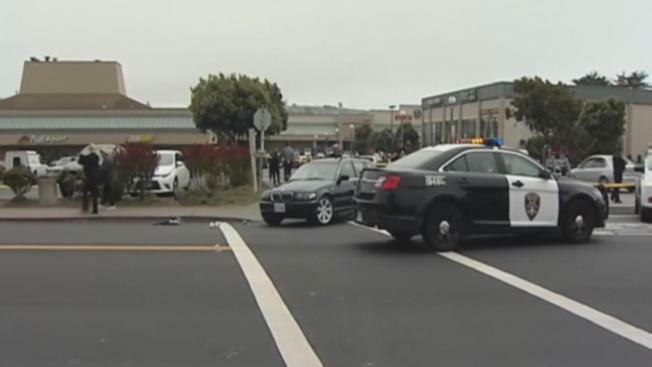 A teenage girl was clinging to life Wednesday night after being hit by a car at a Daly City intersection, police said. The girl, in her early teens, was hit near the intersection of Westmoor and South Mayfair avenues at about 1:50 p.m., Daly City police Sgt. Edward Green said. She was taken to a hospital for potentially life-threatening injuries, Green said. The driver stopped and cooperated with the investigation. Police did not immediately say what led up to the girl being hit. Neighbors aren't surprised at all that there's been yet another crash at an intersection where accident have been commonplace for years. "My niece was hit here," Bob Aragon said about the intersection just one block from busy Skyline Boulevard. "It was a day like today, foggy and a little darker, and she was hit by a car." Aragon lives at one of the corner houses at the intersection. He said he sees people get hit almost every month and recalled nearly getting struck himself multiple times. He blames reckless drivers. Another neighbor said the frequent low-lying fog also is a problem. Aragon said he and some other neighbors are petitioning the city to install a four-way stop. Daly City police did not have specific accident statistics for the intersection. Neighbors said if there's not a four-way stop sign soon, it won't be long before police are back out there for another accident.